When we have a disease like diabetes, we are at risk of developing other conditions and diseases that can stem from diabetes. 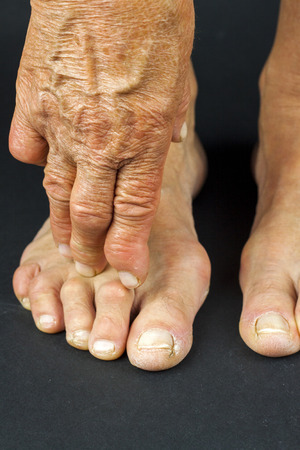 The most commonly known condition associated with diabetes is called diabetic neuropathy, or the occurrence of neuropathy in a patient with diabetes. Neuropathy happens when our nerves become diseased and dysfunctional, resulting in multiple symptoms ranging from numbness to weakness in our extremities. Even with well-controlled diabetes, diabetic neuropathy remains a risk, and it’s worth educating yourself on the signs and symptoms. When it comes to preventative care, knowledge is your best ally! Dizziness, lightheadedness, or digestive issues. Heightened sensitivity to hot and cold, vibrations, or touch. Weakened muscle movements or instability. Burning, tingling, prickling, cold, or stabbing sensations. Increased sweat gland and bladder activity. These same studies have shown that patients with diabetes and peripheral neuropathy experience the burning, tingling, or numb sensations before other symptoms appear. These symptoms are known to start slowly in the tips of our extremities, like our fingers and toes, and spread up the limbs. If you suspect that you may have experienced or are currently experiencing any of these symptoms, especially within your feet, reach out to our podiatrist, Dr. Michele Kurlanski at Lighthouse Foot & Ankle Center in Scarborough, Maine. Call us today at 207-774-0028 to schedule your next appointment.